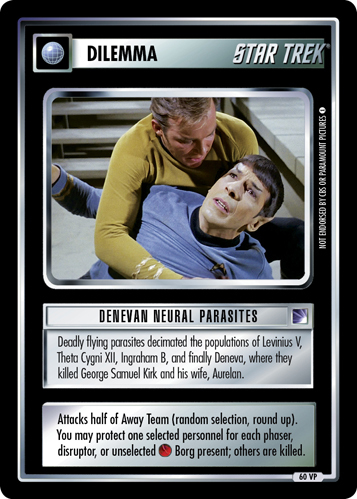 Deadly flying parasites decimated the populations of Levinius V, Theta Cygni XII, Ingraham B, and finally Deneva, where they killed George Samuel Kirk and his wife, Aurelan. Attacks half of Away Team (random selection, round up). 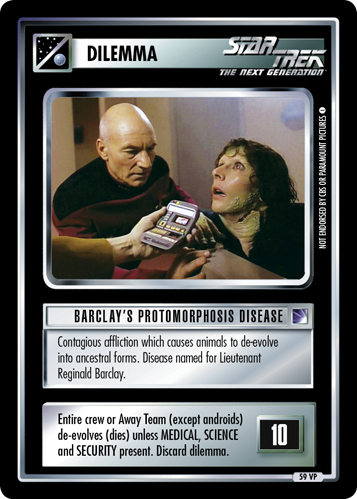 You may protect one selected personnel for each phaser, disruptor, or unselected Borg present; others are killed. 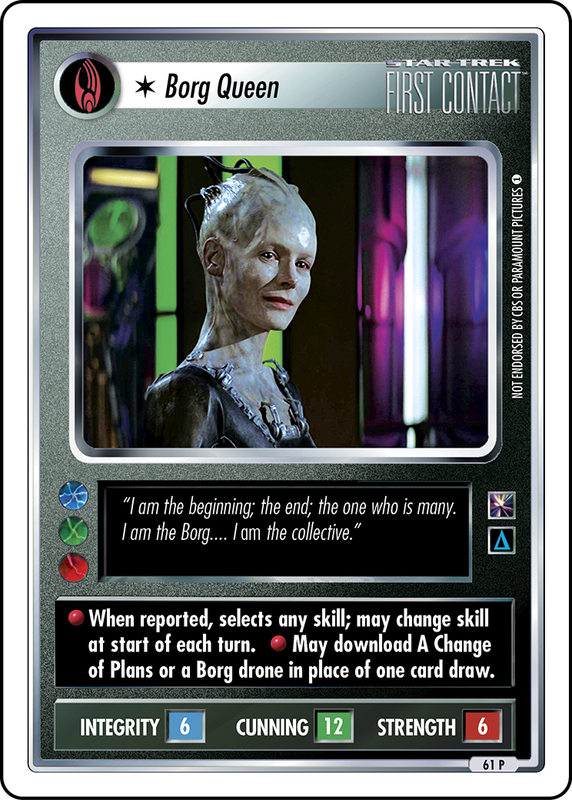 Image Source: The Original Series: "Operation: Annihilate!"